Goalie hockey player waiting for the enemy stands at the gate. Close-up goalie helmet. hd00:11Close-up goalie hockey player in protective helmet looking at the camera. The face of the goalkeeper in anticipation of the enemy. 4k00:11Young girl feeling depressed and drinking her problems away in an abandoned building. hd00:12Close-up of a goalkeeper and a forward face to face, stared each other helmets. The rage and hatred on the ice field. hd00:17The standoff between hockey players. Close-up of a goalkeeper and a forward face to face, forehead to forehead. hd00:14The standoff between hockey players. Close-up of a goalkeeper and a forward face to face, forehead to forehead. 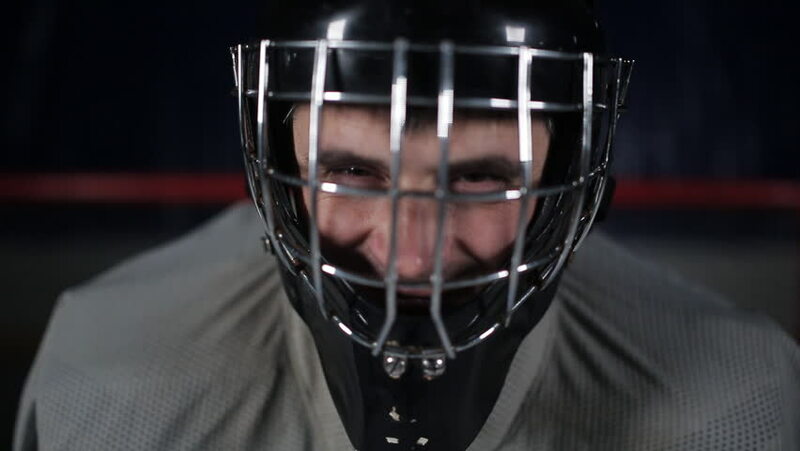 hd00:13Close-up goalie hockey player in protective helmet looking at the camera. The face of the goalkeeper in anticipation of the enemy.